The Wall Street Journal today filled in some blanks on Samsung's Galaxy S10, foldable phone and 5G plans for 2019. We knew there will be a 5G S10 model which might be exclusive to Korea. That's the only country that will have a nationwide 5G network up and running by next summer, after all. 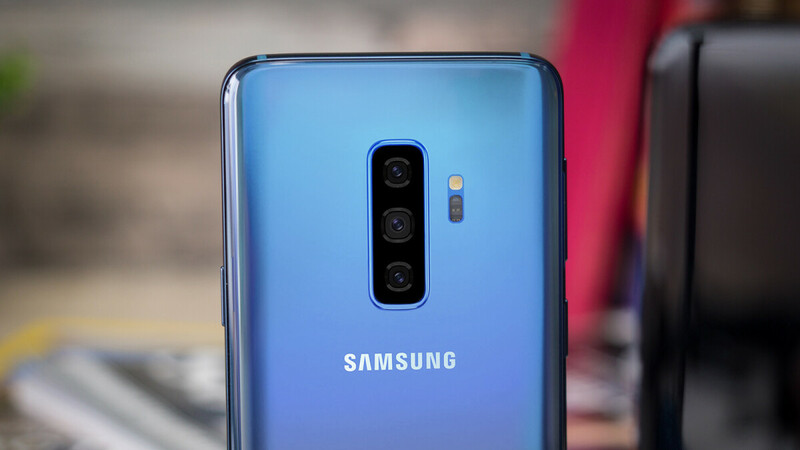 A new twist in the WSJ report, however, was not the fact that the Galaxy S10 5G model may have six cameras in total, given that there is already a Samsung phone announced with four rear cameras. What's another dual-camera set to add at the front by Samsung, and call it a six-banger. What piqued our interest was the enigmatic "better spatial perception" when explaining what the four rear cameras will bring to the 5G S10. Well, today another report, this time in Korean media, comes to explain what could that mean. Samsung, it turns out, has been developing time-of-flight (ToF) camera sensors to go into its smartphones next year. The tech is different than the 3D structured light face-reading kits on the front of phones like the iPhone XS or Mate 20 Pro, and there is already a phone on the market with a ToF sensor, the Oppo R17 Pro. What could a 3D-sensing ToF camera do at the back? It can help with gesture navigation and create augmented reality (AR) experiences, like trying on new clothes in the virtual domain, or even in placing virtual IKEA furniture around the house in real time. The kicker, however, is that Samsung's ToF camera sensor may debut with the most souped-up Galaxy S10 model in a mid-February Unpacked event, but it will actually trickle down to the midrange A-series, tip the insiders. Apple is also rumored to equip the 2019 iPhones with a 3D-sensing rear sensor for AR/VR purposes, and today's report reiterates that speculation, so the time-of-flight camera fights may officially begin next year. I hope this is not like those dedicated depth info only camera crap found on current smartphones. Haven't seen a good implementation of those. Android rumors are possibilities. Apple rumors are facts. It's how it's done here. Just go straight to the comments like I do. Like Liquid Retina Display ? which in FACT a LCD? Lmao.